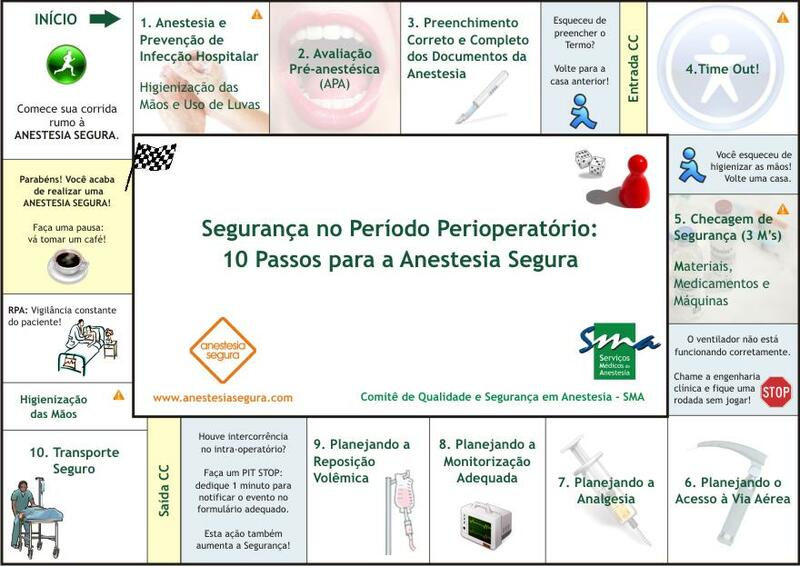 Anesthesiology 2013; 118:1198-205, Aguirre et al. Acute compartment syndrome (ACS) represents a limb-threatening condition. Delaying diagnosis and therapy may lead to irreversible neuromuscular ischemic damages with subsequent functional deficits.1 Diagnosis is primarily clinical and characterized by a pain level that quality exceeds the clinical situation. Diagnosis is assessed by invasive pressure monitoring within the suspected compartment. Once ACS has been confirmed it represents a surgical emergency with definitive treatment requiring immediate fasciotomy to relieve the pressure within the affected compartment. Irreversible tissue damage can occur within 4–6 h after the onset of symptoms. However, nerves are already seriously damaged after 2h of increased compartment pressure. Concerns about masking pain as cardinal symptom and therefore leading to a delay in diagnosis and therapy have been raised in connection with regional anesthesia. Moreover, several case reports and case series have blamed different types of regional anesthesia and even the use of opioid patient-controlled analgesia for delaying diagnosis of ACS. Therefore, the use of regional anesthesia for trauma and orthopedic surgery remains controversial. A case involving continuous regional anesthesia of the upper extremity and the development of an ACS is presented. Ambulatory surgery is one of the fastest growing segments of surgery, increasing 67% between 1996 and 2006. With the development of minimally invasive techniques and changes in reimbursement, many surgical procedures are shifting from inpatient to ambulatory settings. Proficient ambulatory centers depend on anesthetics that provide quality anesthesia and postoperative analgesia while expediting discharge, minimizing postoperative nausea and vomiting (PONV), and preventing unplanned admission. Postoperative pain management represents a particular challenge in ambulatory surgery. As many as 40% of patients experience severe pain despite conventional treatment. Regional anesthesia (RA) has been shown to improve pain scores, decrease use of narcotics, and lower the incidence of PONV, allowing more patients to be discharged home in less time with high satisfaction. Consenquently, RA has increased in popularity for ambulatory surgery as both the primary anesthetic and as an anesthetic adjunct to improve postoperative analgesia. Biazzotto CD, Brudniewski M, Schmidt AP et al. — Hipotermia no período peri-operatório. Rev Bras Anestesiol, 2006;56:89-106. Kaudasch G, Schempp P, Skierski P et al. — The effect of convection warming during abdominal surgery on the early postoperative heat balance. Anesthesist, 1996;45:1075-1081. Stoen R, Sessler DI — The thermoregulatory threshold is inversely proportional to isoflurane concentration. Anesthesiology, 1990;72:822-827. Clarck R, Orkin L, Rovenstine E — Body temperature studies in anesthetized man: effect of environmental temperature, humidity and anesthesia system. JAMA, 1954;154:311-319. Burton AC — Human calorimetry: the average temperature of the tissues of the body. J Nutr, 1935;9:261-280. Reis Jr A, Linde H — Temperatura corpórea central durante e após garroteamento de membros inferiores em crianças. Rev Bras Anestesiol, 1999;49:27-34. 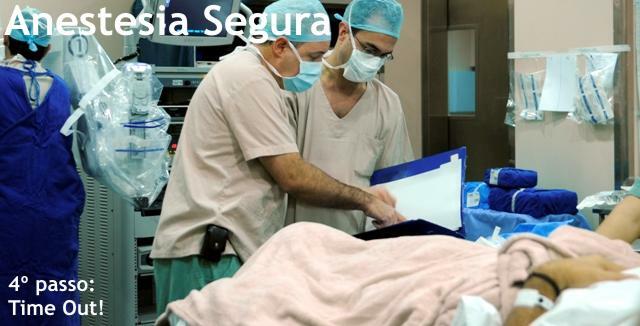 Sessler DI — Consequences and treatment of perioperative hypothermia. Anesthesiol Clin North Am, 1994;12:425-456. Bissonnette B, Sessler DI — Passive or active inspired gas umidification increases thermal steady-state temperatures in anesthezed infants. Anesth Analg, 1989;69:783-787. Hyson J, Sessler DI — Intraoperative warming therapies: a comparison of tree device. J Clin Anesth, 1992;4:194-199. Lenhardt R, Marker E, Goll V et al. — Mild intraoperative hypothermia prolongs postanesthetic recovery. Anesthesiology, 1997;87:1318-1323. Sessler DI — Perioperative heat balance. Anesthesiology, 2000; 92:578-596. Panossian C, Simões CM, Milani WRO, Baranauskas MB, Margarido CB — O Uso de Manta Térmica no Intra-Operatório de Pacientes Submetidos à Prostatectomia Radical Está Relacionado com a Diminuição do Tempo de Recuperação Pós-Anestésica. Revista Brasileira de Anestesiologia Vol. 58, No 3, Maio-Junho, 2008. New York—Blood transfusions have been among the most commonly performed invasive procedures in the United States, with a significant percentage occurring perioperatively to treat anemia. Studies have shown that anemia in the surgical setting is associated with significant morbidity and mortality, and the PGA panelists saw a clear need to address the condition within this patient population. However, they noted, blood transfusions carry significant risks, and too often these complications are poorly understood by clinicians—and therefore improperly explained to patients. Washington - Patients who experience a “double low” of blood pressure and brain function during cardiac surgery do not appear to be at higher risk for perioperative death, a recent study suggests. The findings diverge from previous research showing that a “triple low” of mean arterial pressure (MAP) and low bispectral index (BIS; Covidien) values during low minimum alveolar concentration (MAC) is a strong predictor of mortality in non-cardiac patients (see Anesthesiology News, November 2009, page 1). Using data from the institution’s electronic anesthesia record and cardiothoracic anesthesia registry, Dr. Maheshwari and his colleagues grouped 3,445 patients into categories based on time-weighted BIS and MAP scores. For technical reasons, MAC fraction was not available in this patient population, Dr. Maheshwari said. Patients were included in the reference group if their time-weighted MAP and BIS scores were within 1 standard deviation of the mean. Background: Severe pain after surgery remains a major problem, occurring in 20–40% of patients. Despite numerous published studies, the degree of pain following many types of surgery in everyday clinical practice is unknown. To improve postoperative pain therapy and develop procedure-specific, optimized pain-treatment protocols, types of surgery that may result in severe postoperative pain in everyday practice must first be identified. Methods: This study considered 115,775 patients from 578 surgical wards in 105 German hospitals. A total of 70,764 patients met the inclusion criteria. On the first postoperative day, patients were asked to rate their worst pain intensity since surgery (numeric rating scale, 0–10). All surgical procedures were assigned to 529 well-defined groups. When a group contained fewer than 20 patients, the data were excluded from analysis. Finally, 50,523 patients from 179 surgical groups were compared. Results: The 40 procedures with the highest pain scores (median numeric rating scale, 6–7) included 22 orthopedic/trauma procedures on the extremities. Patients reported high pain scores after many “minor” surgical procedures, including appendectomy, cholecystectomy, hemorrhoidectomy, and tonsillectomy, which ranked among the 25 procedures with highest pain intensities. A number of “major” abdominal surgeries resulted in comparatively low pain scores, often because of sufficient epidural analgesia. Conclusions: Several common minor- to medium-level surgical procedures, including some with laparoscopic approaches, resulted in unexpectedly high levels of postoperative pain. To reduce the number of patients suffering from severe pain, patients undergoing so-called minor surgery should be monitored more closely, and postsurgical pain treatment needs to comply with existing procedure-specific pain-treatment recommendations. Anesthesiology 2013; 118:809-24, Mooney et al. Background: Kidney dysfunction is a strong determinant of prognosis in many settings. Methods: A systematic review and meta-analysis was undertaken to explore the relationship between estimated glomerular filtration rate (eGFR) and adverse outcomes after surgery. Cohort studies reporting the relationship between eGFR and major outcomes, including all-cause mortality, major adverse cardiovascular events, and acute kidney injury after cardiac or noncardiac surgery, were included. Results: Forty-six studies were included, of which 44 focused exclusively on cardiac and vascular surgery. Within 30 days of surgery, eGFR less than 60 ml·min·1.73 m-2 associated with a threefold increased risk of death multivariable adjusted relative risk [RR] 2.98; 95% confidence interval [CI] 1.95–4.96) and acute kidney injury (adjusted RR 3.13; 95% CI 2.22–4.41). An eGFR less than 60 ml·min·1.73 m-2 was associated with an increased risk of all-cause mortality (adjusted RR 1.61; 95% CI 1.38–1.87) and major adverse cardiovascular events (adjusted RR 1.49; 95% CI 1.32–1.67) during long-term follow-up. There was a nonlinear association between eGFR and the risk of early mortality such that, compared with patients having an eGFR more than 90 ml·min·1.73 m-2 the pooled RR for death at 30 days in those with an eGFR between 30 and 60 ml·min·1.73 m-2 was 1.62 (95% CI 1.43–1.80), rising to 2.85 (95% CI 2.49–3.27) in patients with an eGFR less than 30 ml · min · 1.73 m-2 and 3.75 (95% CI 3.44–4.08) in those with an eGFR less than 15 ml·min·1.73 m-2. Conclusion: There is a powerful relationship between eGFR, and both short- and long-term prognosis after, predominantly cardiac and vascular, surgery. Anesthesiology 2013; 118:903-13, Wang et al. Background: Mannitol and hypertonic saline (HS) are used by clinicians to reduce brain water and intracranial pressure and have been evaluated in a variety of experimental and clinical protocols. Administering equivolume, equiosmolar solutions in healthy animals could help produce fundamental data on water translocation in uninjured tissue. Furthermore, the role of furosemide as an adjunct to osmotherapy remains unclear. Methods: Two hundred twenty isoflurane-anesthetized rats were assigned randomly to receive equivolume normal saline, 4.2% HS (1,368 mOsm/L 25% mannitol (1,375 mOsm/L), normal saline plus furosemide (8 mg/kg), or 4.2% HS plus furosemide (8 mg/kg) over 45 min. Rats were killed at 1, 2, 3, and 5 h after completion of the primary infusion. Outcome measurements included body weight; urinary output; serum and urinary osmolarity and electrolytes; and brain, lung, skeletal muscle, and small bowel water content. Results: In the mannitol group, the mean water content of brain tissue during the experiment was 78.0% (99.3% CI, 77.9–78.2%), compared to results from the normal saline (79.3% [99.3% CI, 79.1–79.5%]) and HS (78.8% [99.3% CI, 78.6–78.9%]) groups (P < 0.001), whereas HS plus furosemide yielded 78.0% (99.3% CI, 77.8–78.2%) (P = 0.917). After reaching a nadir at 1 h, brain water content increased at similar rates for mannitol (0.27%/h [99.3% CI, 0.14–0.40%/h]) and HS (0.27%/h [99.3% CI, 0.17–0.37%/h]) groups (P = 0.968). Conclusions: When compared to equivolume, equiosmolar administration of HS, mannitol reduced brain water content to a greater extent over the entire course of the 5-h experiment. When furosemide was added to HS, the brain-dehydrating effect could not be distinguished from that of mannitol. Lançamento do Livro "Condutas em Anestesia Obstétrica"
Condutas em Anestesia Obstétrica (Editora Elsevier) é adequada à realidade brasileira, traz a experiência de 200 mil casos vivenciados, além de temas estudados em 16 jornadas internacionais e materiais de artigos científicos presentes nas mais importantes publicações mundiais. Este manual de bolso indispensável foi escrito pelos mais proeminentes profissionais de anestesia obstétrica do país. Aborda a segurança e a efetividade da prática anestésica em grávidas normais e em gestações de alto risco, e disponibiliza o material necessário para a consulta rápida do anestesiologista e do residente. O passo a passo ao final de cada capítulo funciona como um guia de condutas muito eficaz, se seguido corretamente. Os médicos sabem que cada estágio do trabalho de parto possui implicações anestésicas particulares, e o livro mostra como o conhecimento dessas particularidades facilita o planejamento da analgesia de parto mais apropriada para cada caso. 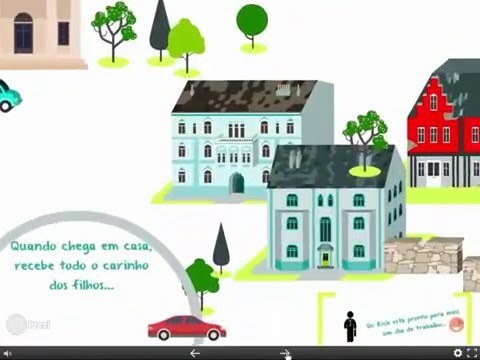 A obra é clara e objetiva e se apóia na prática de 20 anos de atuação da autora no Grupo Santa Joana, experiente no atendimento às gestantes de alto risco, perfil de paciente abordado em um capítulo inteiro no livro. Desta forma, também contribui para que os médicos estejam alinhados com a meta global da Organização Mundial de Saúde (OMS), de reduzir anualmente em 5% a mortalidade materna e neonatal. Com exclusividade, o Condutas em Anestesia Obstétrica traz, ainda, um capítulo que trata da importância da rapidez no diagnóstico e o indispensável domínio das inovações em ultrassonografia: Abordagem prática: o uso da ultrassom no neuroeixo e via aérea difícil na gestante. *E-books disponíveis nas lojas virtuais Kobo, Amazon, Google, iba, Cultura, Gato Sabido, Positivo, eBook Cult, entre outras. Hotel Tivoli - Alameda Santos 1437, Cerqueira César – São Paulo. Dia 5 de abril, das 8h30 às 18h50. Dia 6 de abril, das 8h às 12h30. Dra. Monica M. Siaulys é doutora em Anestesia pela Faculdade de Medicina da Universidade de São Paulo (FMUSP), diretora do Departamento de Anestesia do Hospital e Maternidade Santa Joana, e responsável pela Anestesia Obstétrica da Irmandade da Santa Casa de Misericórdia de São Paulo. Alaíde de Amorim Pedrosa - advogada em Direito Médico; Alexandra Tavares Raffaini – anestesiologista; Cecília Rosa Cravo – anestesiologista; Cid Ura Kusano – anestesiologista; Domenique P. Orkov – pediatra; Eduardo Tsuyoshi Yamaguchi – anestesiologista; Jacqueline Toshiko Hirahara Imoto – anestesiologista; José Mauro da Silveira Junior - advogado em Direito Médico; Marcelo Vaz Perez – anestesiologista; Marina Cestari Rizzo – anestesiologista; Maurício Amaral Neto – anestesiologista; Newton Tomio Miyashita - ginecologista e obstetra; Ricardo Caio Gracco De Bernardis – anestesiologista; Roque Antonio Khouri Filho - anestesiologista.